Families are being urged to get on their bikes and join in a charity ride in Nuneaton this weekend. 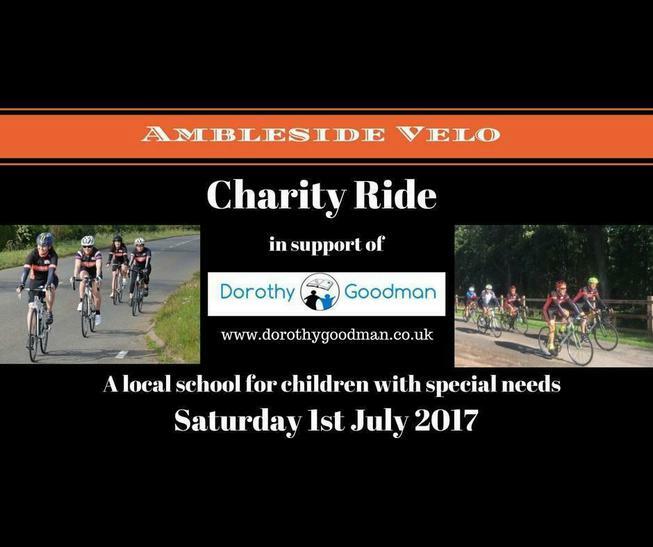 On Sautuday (July1) the Ambleside Velo Charity Ride is taking place from Ambleside Sports Club. It is being held to raise cash for Dorothy Goodman School. Members and non-members are being invited to join in the event - and there are two fully signposted routes to choose from - of 25 and 50 miles around Warwickshire and Leicestershire country lanes to choose from. Entrance is priced at £10 for the 25-mile route and £15 for the 50-mile route, with under 18's free if accompanied by an adult. Registration will be open from 8am at the club off of Ambleside Way, the 50-mile ride starts at 9am, the 25-mile ride starts at 9.30am.